Queen palm trees, or Syagrus romanzoffiana, are a variety of cold-hardy palm native to South America. It is a suitable choice for landscaping in desert environments due to its tolerance of temperature extremes and poor growing conditions. Few diseases or pests bother queen palm trees; however, yellow leaves may occur from time to time due to overwatering or improper winter care. Prevention is key when it comes to keeping queen palm trees green, so choosing the appropriate planting site and learning proper care is essential. Choose a suitable planting site for queen palm trees. It must provide full sun exposure, coarse soil with good drainage and ample clearance from other vegetation. Shrubbery or plant life too close to queen palm trees may encourage bacterial and fungal infestation, which are devastating to queen palm trees. Dig a hole three times the volume of the original pot. Line the bottom of the hole with gravel to improve drainage. Amend the soil with equal parts sand, compost and coir, or coconut fiber. Proper amendment of the soil is key in preventing yellow leaves in queen palms. Proper drainage and ample nutrients provide the essential elements needed for healthy foliage. Water queen palms daily for the first two weeks following planting and every three days once established. 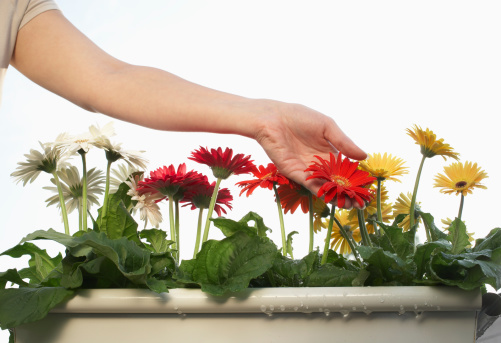 Restrict watering in winter to twice a month. Fertilize queen palms two to three times per year. 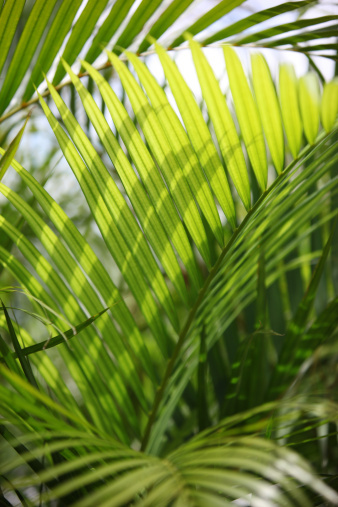 Use a fertilizer specially formulated for palm species. Proper fertilization prevents and helps reverse the most common cause of yellow leaves: magnesium deficiency. Remove yellow fronds with pruning shears as soon as they appear. What Is the Difference Between Queen & King Palm?